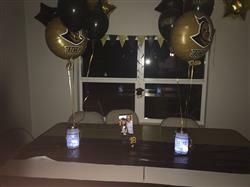 "I was looking for something different for decorations and found this website,I ordered this item thinking it probably was too late to get before the party, but it arrived the day before, giving me time to set it up, I absolutely loved it and got soooooo many compliments. " "Fantastic beautiful results with incorporating this paper into a centerpiece "
"Great color, easy to inflate." "Balloons were perfect for the occasion. The email communication could have been better on when they shipped out but everything worked out! " "nice and round and orange. =)"
"Bought these balloons for an event at my store. Great price, fast shipping. Will definitely buy from here again." Store Clearance Foil Balloon, 18"
"Love the color and very easy to fill with helium tank." "These balloons were great !!!! As a matter of fact they are still inflated and flying high attached to my mail box right this minute 10 days later!!!!!!! Great colors perfect for our daughter graduation party as she leaves HS and heads off to Cuse!!!! Thanks!!!!!" "it worked like a balloon should, very floaty. " "It was good. Thank you for delivering so quickly." USC Trojans Foil Balloon, 18"
"They arrived ahead of schedule. Thanks. " "Beyond my expectations. 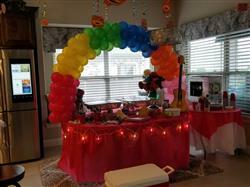 I used them for a large balloon garland with balloons ranging from 5” to 30” in varying sizes and shades of gold. I didn’t use helium... 9 days after the party - it’s still up. I love it so much!!!" "Great use for my daughter’s graduation"
"After spending many hours on making my own balloon nets I stumbled on this site (ty, ty). They work beautifully and saved sooo much time. Well worth the purchase; wish I had found them sooner. Don’t hesitate to purchase these. 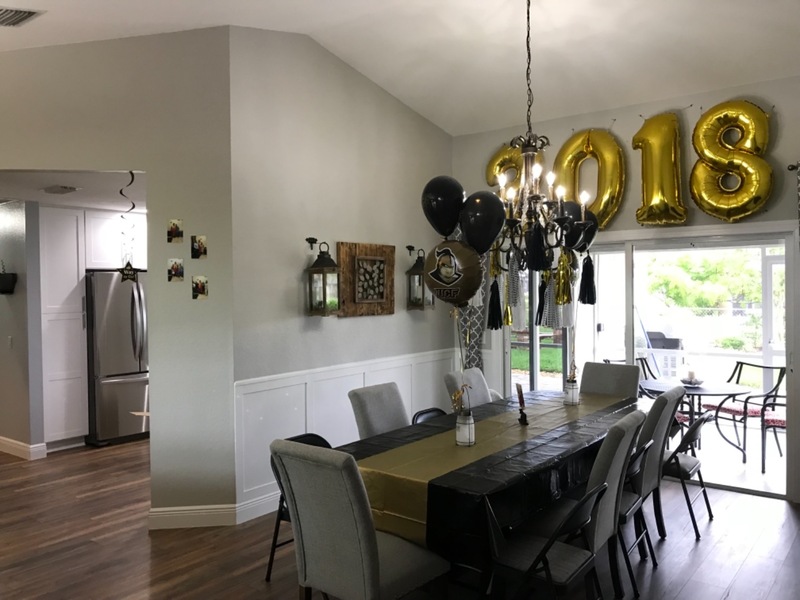 I used them on 12” and 15” and bigger balloons as they were so easy to adjust. You won’t be disappointed with this purchase if you are trying to emulate hot air balloons!" Hot Air Balloon Net Clear, 16"
"Fast service. Perfect balloon. " "I will definitely buy from Balloons123 again! Everything came exactly as ordered, exceptional quality, on time, and the best price I found in any store or online. I havw found my new party supply vendor!" "Ordering was a breeze and the item shipped quickly. And the ribbon is what i ordered." "Great, they fill up well and are very colorful!" "I have not used them yet, but I blew one up as a test, and it performed very well and looked pretty. I look forward to using them!" "Fast shipping and great quality napkins! Thank you!" "Very Easy to Order and I received them within about 3 days. They were a nice size and I mixed them in with some plain blue and white balloons. I will order from you all again!" University of N Carolina-Latex Balloon (10ct), 11"
"Delivered on time for a great price! Would definitely purchase from them again!" "Best place to shop for any party occasion"
Godzilla Cubez-Pkg foil balloon, 15"
"I loved how easy it was to shop,order,and pay for my items! I also appreciate the fact you guys carry colors most other's don't. The plates and napkins were inexpensive and good quality. I would definitely recommend your site and shop with you again.😊"
Plates Paper Hunter Green (24ct), 7"
"These balloons were perfect for a display at our church! Would definitely buy again!" "Super! Very smooth and quick arrival of items. " "Awesome! He had a blast at his surprise graduation party! Thanks "